I have purchased multiple vehicles from Street Visions over the past few years. From the no pressure sale aspect to the professional, knowledgeable and personable customer service from every department my experiences have always been excellent. Best place to go for a vehicle! WOW is all I can say about Street Visions. They made a stressful situation into a great experience. Knowledgeable, courteous, professional, and even had a tissue for me when I started to cry! I recommend this place with 55 STARS!!!!! Thank you Lisa, you made buying a car easy for me! My experience at Street Visions was excellent and I would recommend buying a car here to any of my friends! Got a great deal and piece of mind with my purchase and I am still happy with my choice. I feel I was treated honestly and fairly and will always deal with Street Visions in the future. I bought a 2003 Mini Cooper S from Street Visions in October of 2013. 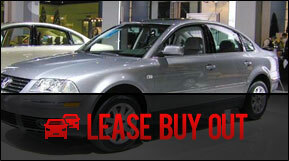 I had bad credit and had difficulties with other dealers being honest about the prices of the cars I was looking at. \r\nBut I didn\\\'t have to worry about that at Street Visions. They were able to get me approved, took my older BMW on trade, and prepared a terrific little Mini for me at a very reasonable price. I\\\'m so impressed with the honesty and integrity of Street Visions, I\\\'m planning on buying my next car there too. Lisa and her husband over the last several years have alwaye treated my family with respect . This has lead to several cars being purchase .With mechanial and body work being performed when necessary.her dealership might be small to some but they make sure your happy when you leave. Not like a large dealership were your a number. We needed a good, reliable van to replace our old one. The folks at Street Visions were wonderful to work with, they answered all our questions truthfully, and even stayed late while we took longer than expected in getting back to the shop. The van was a fair price, and in great condition, we couldn\\\'t be more pleased. HIGHLY RECOMMEND!!! I have to say that purchasing a vehicle at Street Visions has likely been the easiest car buying experience I\\\'ve had, and I\\\'ve had many over the years. Upon arrival at the dealership, Lisa was quick to have me take the vehicle I was interested in out for a ride and the whole trade in and purchase procedure went quickly, with zero pressure and maximum professionalism. I would not hesitate to purchase here again if a vehicle on the lot met my needs. Thanks again, Lisa! Street Visions has restored my faith in buying a car. There are no games, no pressure, just a love for the people. Street Visions went way above what was asked and it made my experience a great adventure. 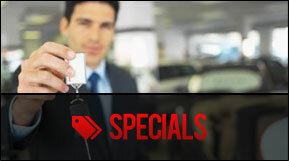 I\\\'m recommending to all my family and friends when looking for a used vehicle they must start with Street Visions. Purchased my first vehicle from Street Visons and can\\\'t say a negative thing. Lisa was great from start to finish. I\\\'d give them 5 stars. I will tell friends and family about Street Visions. \r\nPurchased a 2005 suburban. I was very pleased with the personal service of all employess. 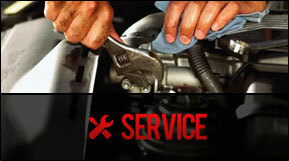 Took care of all concerns and fast service. One stop Shop. I had a wonderful experience at Street Vision and purchased a nice Mercedez at a great price. Lisa is a total sweet heart and made the transaction a very smooth one. She even got me approved for a lower APR than what was offered to me through USAA insurance. I love it there and will surely return in the future. I highly recommend this dealer as they make you feel so comfortable and have great prices on all of their vehicles. Lisa is awesome !!! I loved my experience here very honest and helpful. I recommend to all family and friends looking to purchase a used vehicle. Street Visions is a dealership with integrity and it was a pleasure to do business with them. I purchased a vehicle from Street Visions towards the end of November. Within a month, the vehicle starting having some issues. I called and took the vehicle back for them to look at. While it ended up being a major issue and it took a while to be fixed, Street Visions was nothing but wonderful through the whole process. They kept me informed since the issue was covered by the limited warranty that was sold with the vehicle, they took care of everything. It is wonderful to deal with a dealership that has such honesty and integrity. It\'s a refreshing change to what is normally heard in business today. Thank you for all of your help. While I know this situation is not something either of us would have wanted to go through, I\'m grateful to the owner\'s and employees of Street Visions for all of their assistance and willingness to take care of this issue. We will definitely be looking to you first, the next time we need a vehicle. Thanks again!